Ice skating at Millennium Park is a winter tradition for many Chicagoans. 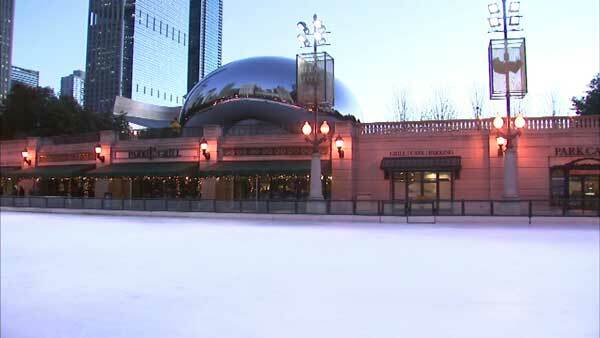 Despite recent mild weather, the McCormick Tribune Ice Rink is ready to open Friday! CHICAGO (WLS) -- Free skating lessons and other special programs are available at Millennium Park during Chicago Public Schools' winter break that runs through Dec. 31. The lessons and programs will be held daily, except on Christmas Day, at the McCormick Tribune Ice Rink in Millennium Park one hour before the rink opens. The programs are supported by a grant from McDonald's Active Lifestyles Endowment, managed by the Millennium Park Foundation. For more information, visit MillenniumPark.org.